NASHVILLE—Country Music superstars Brad Paisley and Carrie Underwood return to host “The 52ndAnnual CMA Awards,” Country Music’s Biggest Night™ live from the Bridgestone Arena in Nashville Wednesday, Nov. 14 at 8/7 PM CT on the ABC Television Network. The beloved hosts return for the 11thtime.Two-time CMA Awards Entertainer of the Year Luke Bryan, four-time CMA Awards nominated duo Dan + Shay and five-time CMA Awards Vocal Duo of the Year Sugarland will reveal several of the final nominees on “Good Morning America” Tuesday, Aug. 28 live from Luke’s 32 Bridge Food + Drink, Bryan’s brand-new restaurant and bar on Lower Broadway in downtown Nashville. Nominees in select categories will be revealed on the top-rated morning news program. 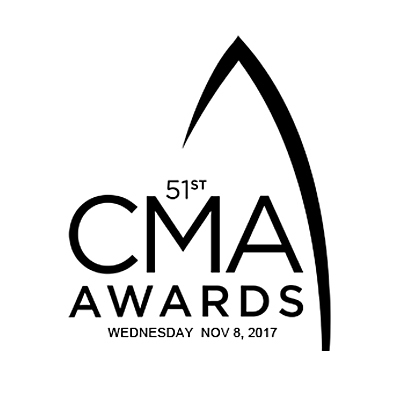 The highly anticipated announcement will also be available via livestream on ABCnews.com/live.“The 52nd Annual CMA Awards” nominees and winners are determined by more than 7,400 professional members of CMA, which is the first trade organization formed to promote an individual genre of music in 1958 and celebrates its 60th anniversary in September. The first “CMA Awards Banquet and Show” was held in 1967. The following year, the CMA Awards was broadcast on television for the first time – making it the longest running, annual music awards program on network television. The CMA Awards have aired on ABC since 2006. ABC is the network home of the CMA Awards and CMA’s other two television properties, “CMA Fest” and “CMA Country Christmas,” through 2021.